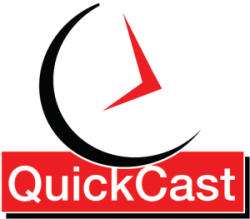 Coach Rob this week on the Endurance QuickCast talks about a pattern he sees in his athletes and other Amateur Endurance Athletes. Rob talks about the realities of what it means to win and how long it can take. He also talks about the curse of dominant success at a local level. Coach Rob also talks about how to stay fresh and stay motivated as you embark on a competitive lifestyle. Also, learn about what you can do to break out of a rut and maybe make a come back or how your work inspiring others can bring your energy back. So have a listen and don’t borrow against your future. The new 6 Week HIIT is live and ready to be downloaded! You can use the promo code * julyhiit to get 25% off the regular price of the new training plan until September 30th, 2017 at Midnight Eastern Standard Time. The plan includes Heart Rate and Power Based Training zones as well as have FIT, ZWO, ERG and MRC training files to add to your Garmin Edge Bike Computers and favorite Smart Trainer Control Applications. There are also audio notes with the plan!!! The audio notes provide you with even more insight to what is expected in the training plans. It’s almost like having me as your dedicated coach! *The podcast on HIIT training has the wrong coupon code the one in this post and podcast is correct.